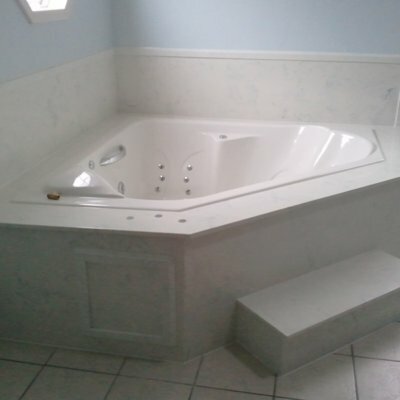 Marble Tradition is a local manufacturer of cultured marble, cultured granite and cultured onyx. 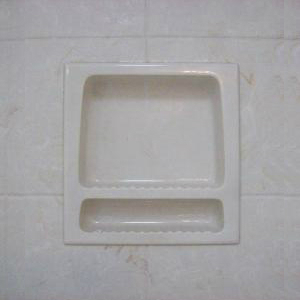 We specialize in making luxury bathroom products such as sills, bathtub surrounds, bathroom accessories, shower bases, bathroom vanities, shower glass, shower wall panels, bathroom trims and many more for your bathrooms and one of a kind spaces. We will tackle any custom job; you imagine it, and we’ll create it! 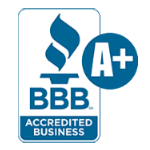 Marble Tradition has been accredited by the Better Business Bureau. 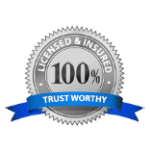 This means that BBB has determined that our business meets accreditation standards. 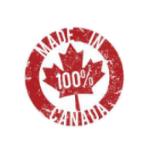 Marble Tradition uses Canadian made products because we understand that using local products is important to you. 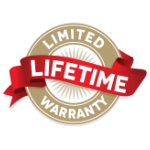 Marble Tradition offers a lifetime guarantee on all of our work to give our customers a peace of mind. 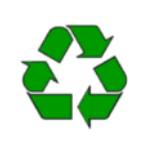 Marble Tradition is an environmentally friendly company that uses recycled materials wherever possible. 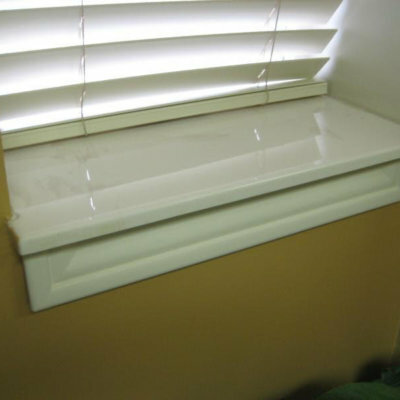 Marble Tradition is one hundred percent insured and warrantied. 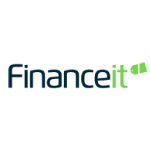 Marble Tradition offers worry-free financing options through Financeit so you can get the bathroom or the one of a kind space you’ve dreamed of. Marble Tradition is an exclusive dealer of TruStone products in Ontario. 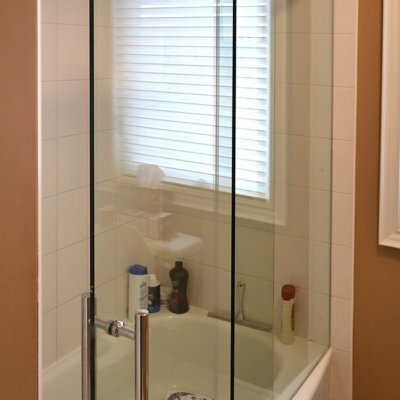 We were wondering just what to do with a very small and dated metal shower stall in our main bathroom situated next to a whirlpool tub which was in good working condition and looked like new. 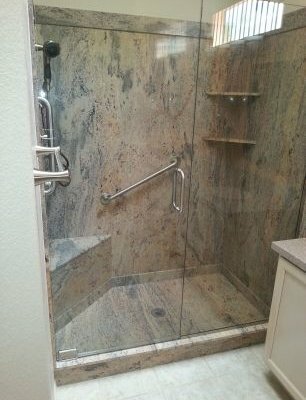 Marble traditions came up with a shower design that increased the interior of the shower by decreasing the space at the end of the tub and removing the bulky base and structure completely. This provided room for an ample seat and a glassed entrance in and out, suitable for a walker or wheelchair. 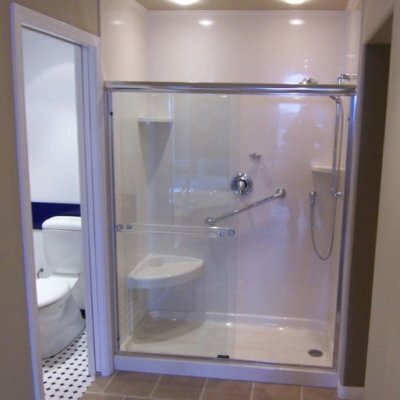 We were able to claim this accessibility renovation at tax time. In addition, the skilled and innovative craftsmen extended the marble from the shower around the tub to integrate the appearance. 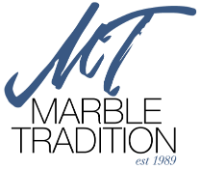 We would highly recommend this family run company that puts quality and service at the forefront. Just wanted to let you know that we’re very happy with the design of the walls, the swirls are really nice and the colours match well to the bases. 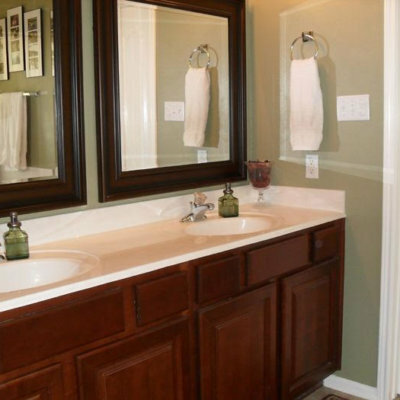 Your son and his coworker were very professional, tidy and did an all around great job. Thanks again for coming out our way, I know it was a bit of a drive, but we look forward to doing business with you again! The owner came out to view the renovation, and provided a quotation within a few days afterwards, which was approximately what we felt would be a fair price for the work, and we proceeded. 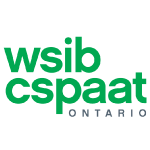 The employees that performed the work were professional in their work and took the time to listen to any recommendations or improvements as the project moved along. As we did not live nearby their location they also were flexible for specific dates and times to come to our house. 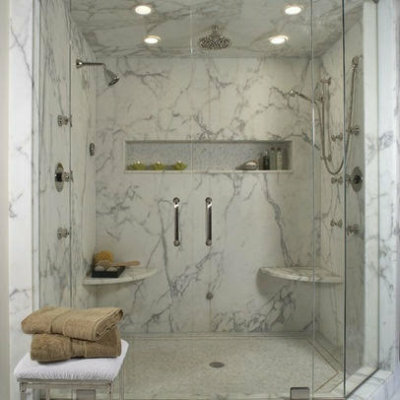 Marble Traditions was a pleasure to deal with the building of our Ensuite Custom Shower! Professional and Reliable!! Easy to deal with always. Excellent selection of materials and a good understanding when listening to the clients needs and wants. Quick to return calls and prompt always with appointment made!! Overall it was a pleasure to deal with Marble Traditions! WANT TO TRANSFORM YOUR IMAGINATION INTO REALITY? 2017 © Marble Tradition. All Rights Reserved.